A service station on Victoria Parade in Fitzroy has been sold for approximately $9.6 million, following substantial demand for the property from local investors and developers with over 200 inquiries received. Patrick O’Callaghan, Cushman & Wakefield’s Director, Sales and Investments in Victoria, led the sale process on behalf of a private vendor, with the purchaser represented by Stuart Taylor, Director of Retail Investments at JLL. The site is located on the immediate city fringe, on the North West corner of the intersection between Victoria Parade and George Street in Fitzroy. The 1,684 sqm property, currently operating as a Liberty Petrol station, was sold after being offered for the first time in 35 years. A secure lease is in place until March 2017 with one remaining option to extend the lease for a 5 year period. The current passing rental is $226,440 per annum, which is subject to annual increases of 5% and a market review at option. Commenting on the sale, Patrick O’Callaghan said, “The exceptionally strong demand from local investors and developers for the site is reflective of the appetite for key sites in the inner city area. “One of the key attractions of the sale was the underlying development potential and prime location, with the additional benefit of a passing rental income in place while determining future potential for the site. 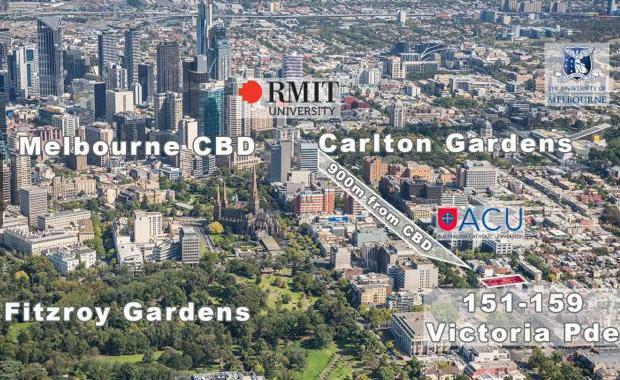 “For key sites the inner city development site market is still experiencing strong appetite with developers scouring the market for larger owner-occupier style developments, student accommodation and retirement villages,” Mr. O’Callaghan said. “Retail investors are taking advantage of the low-interest rate environment to secure assets which offer strong long-term capital growth,” Mr Taylor added.